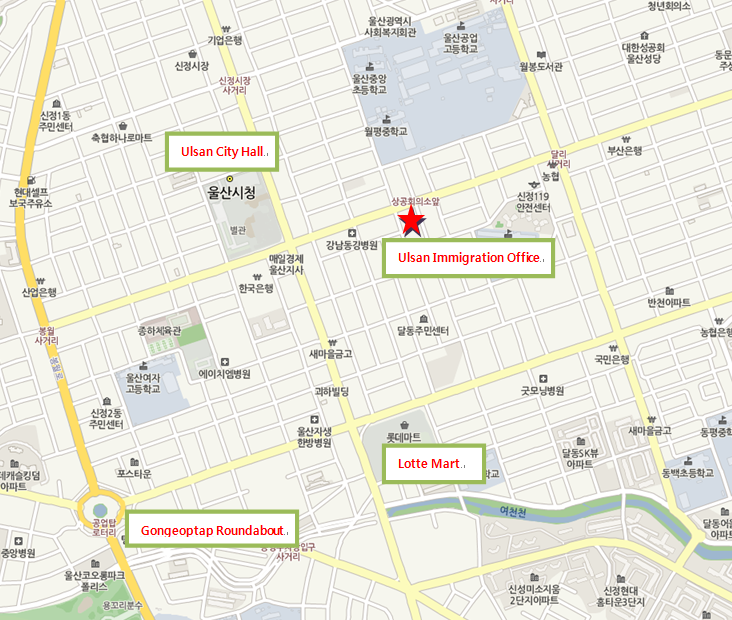 University of Ulsan : Ulsan Immigration Office (Map). - Get off the bus at either ‘Ulsan City Hall’ or ‘Ulsan Chamber of Commerce & Industry’ stop. * It takes around 30 minutes from UOU to Ulsan Immigration Office.